NO. 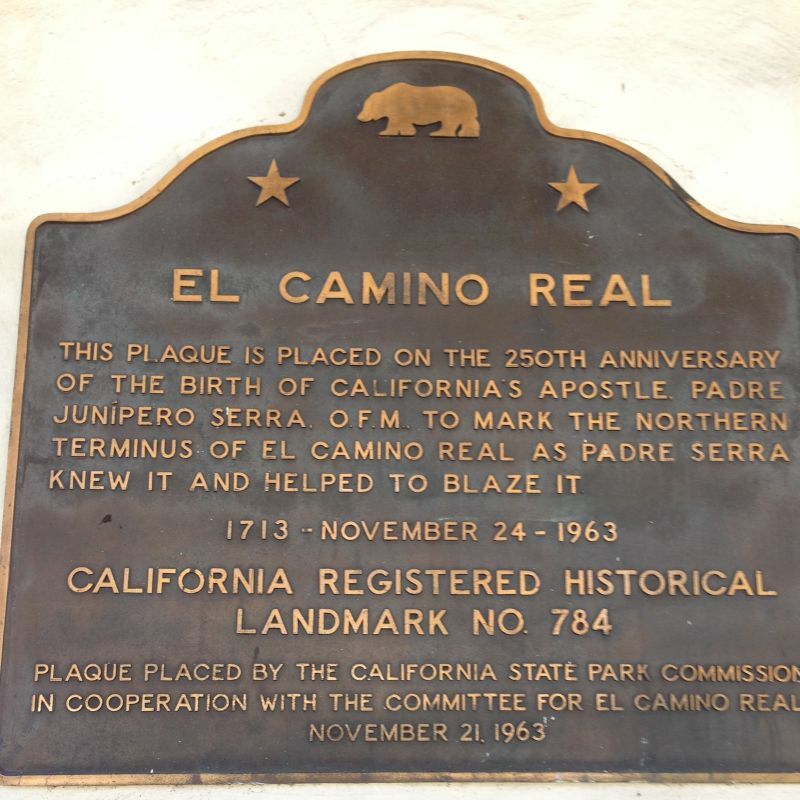 784 EL CAMINO REAL (AS FATHER SERRA KNEW IT AND HELPED BLAZE IT) - This plaque was placed on the 250th anniversary of the birth of California's apostle, Padre Junípero Serra, OFM, to mark El Camino Real as he knew it and helped blaze it. 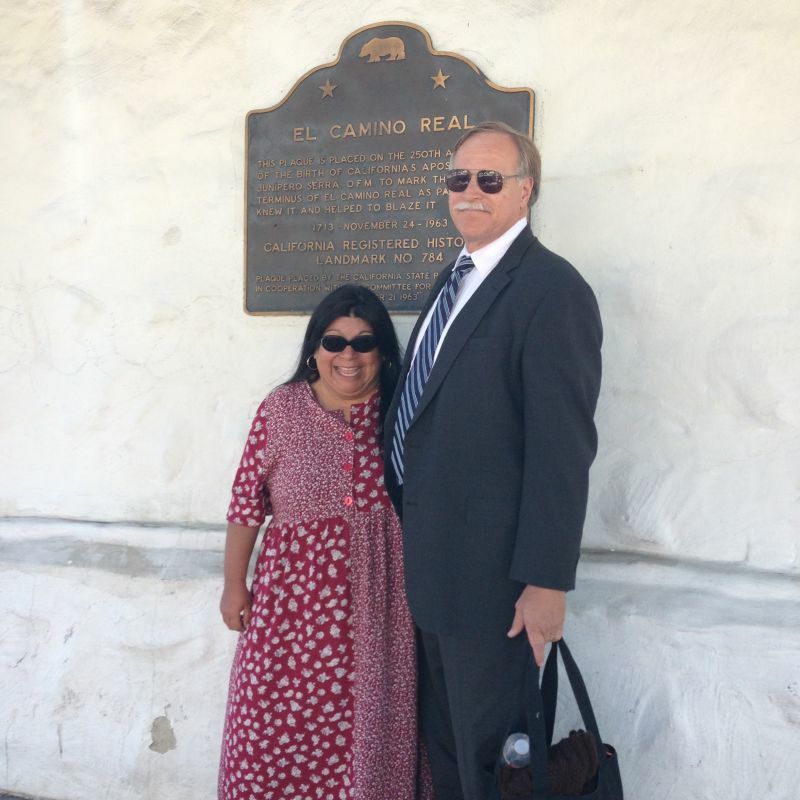 Mission San Diego de Alcala, 10818 San Diego Mission Rd, San Diego to Mission San Francisco de Asis, San Francisco.